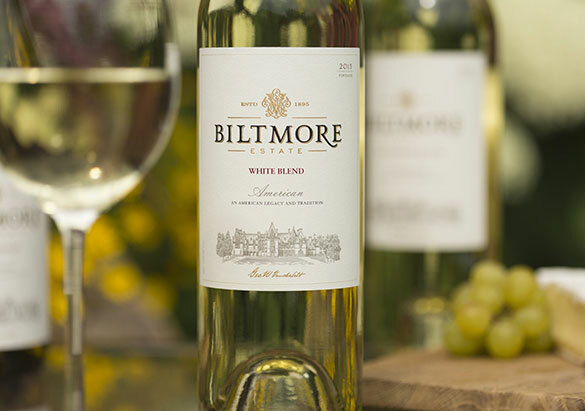 If you ask Biltmore winemaker Sharon Fenchak why some grape varietals are blended into different wines, she’ll tell you there are many reasons, but one of her favorites is to create something special that she thinks Biltmore wine drinkers will enjoy. Historically speaking, the practice of blending is as old as winemaking itself. While there’s some sense that old world wines are more often blends and new world wines tend to be separate varietals, this may have more to do with the fact that European wines are typically associated with a particular region such as Bordeaux, Rhone, and Champagne while North and South American and southern hemisphere wines are more likely to be noted by the specific type of grape. The Hunt, one of our finest wines, is a Bordeaux-style blend of Cabernet Sauvignon, Merlot, and Cabernet Franc grown in California’s Sonoma County. Aged for 18 months in French and American oak barrels, The Hunt offers good aging potential along with richly refined layers of taste. We also blend some of our sparkling wines, like our Biltmore Estate Brut and our special seasonal releases for summer and the winter holidays. Buy any of our wines online or learn where you can buy them locally.